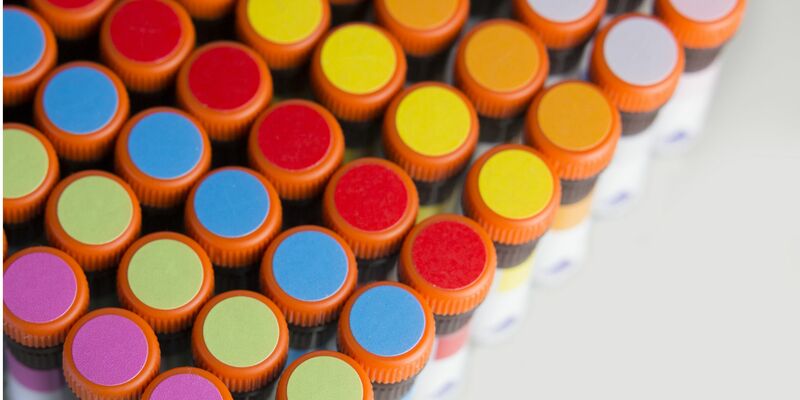 Based on our long-standing experience in multicolor flow cytometry, we have put together a selection of resources that support you in setting up multicolor assays. More support material can be found in the MACS Handbook or Resources section. Design complex multicolor flow experiments with our panel builder. Join Dr. Frank Hardung and his webinar on multicolor flow cytometry. Miltenyi Biotec offers a unique range of instruments and reagents to achieve your desired results. Find out more details here. 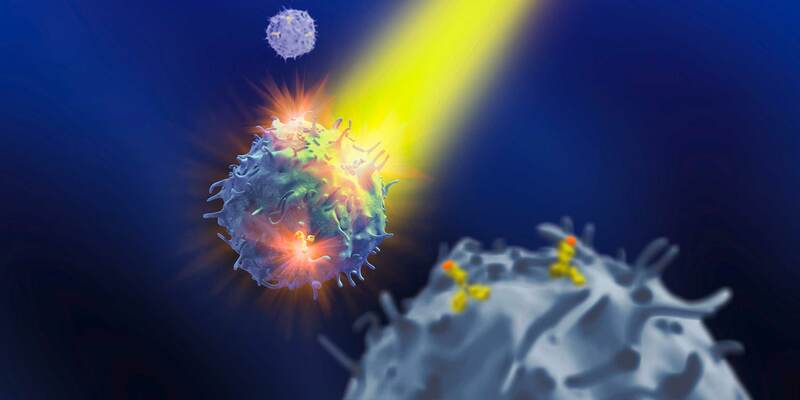 Flow cytometric immunophenotyping and enumeration of a comprehensive range of immune cell subsets can be a tedious challenge. 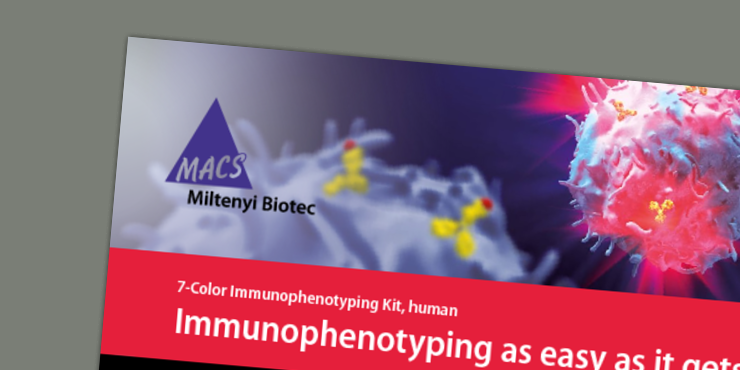 Read the application note and find out how the 7-Color Immunophenotyping Kit, human simplifies all steps from fluorescent labeling to multicolor immunophenotyping. This kit enables the simultaneous enumeration of monocytes, neutrophils, eosinophils, T, B, and NK cells, as well as helper/inducer T cells, cytotoxic/suppressor T cells, and NKT cell subsets.